In 2016, Melissa Etheridge released her Memphis Rock and Soul album, which celebrated the music of legendary Stax Records. On it, she covered the Staple Singers' 1972 hit, "Respect Yourself." Steeped in the social issues of the time, Etheridge updated the lyrics to pay tribute to today's social movements like Black Lives Matter, and to reflect our turbulent times. 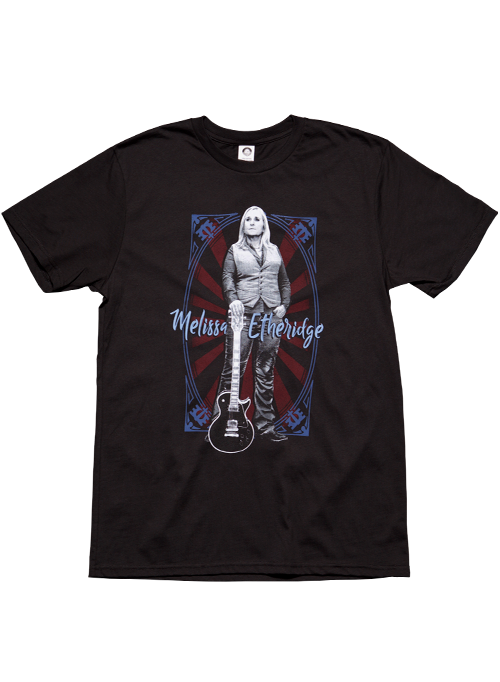 This black unisex tee features Melissa Etheridge artwork on the front and a powerful lyric from the song on the back. If you're a fan, you can boldly show your support for this socially-conscious singer-songwriter, guitarist and activist, while championing individual rights and freedom. Stand up and be counted!